The accused reportedly transferred “3D lamination” technology and other equipment to the Chinese screen maker between May and August. 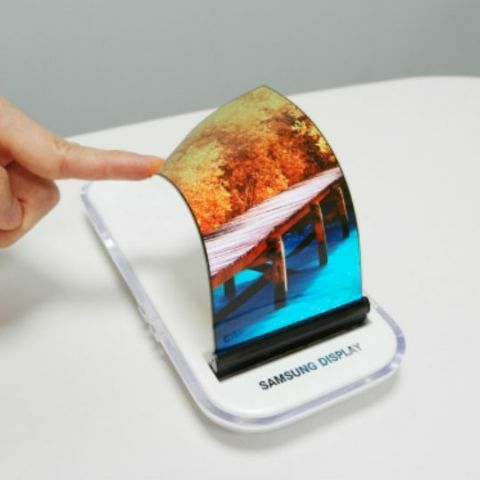 Prosecutors in South Korea have charged 11 people for illegally selling Samsung’s bendable screen technology to a Chinese rival company. According to Bloomberg, the CEO of Samsung supplier Toptec, and eight of his employees had received 15.5 billion won (approx $13.8 million) for conspiring and transferring information regarding organic light-emitting diode (OLED) displays. Samsung uses OLED panels in its phones, televisions and monitors. The two others were from the Chinese company with whom they hatched the conspiracy. Bloomberg says that intellectual property theft is a national concern for South Korea and the country is spending billions for becoming self-sustaining in areas such as memory chips and displays, two fields where Samsung is the world leader. On the revelation, Samsung Display said it was “shocked at the results of the investigation by prosecutors, at a time when competitors are intensifying their technological rivalry.” Samsung said that it would keep a close eye on the trial. Citing prosecutors, the report noted that the South Korean supplier transferred “3D lamination” technology and other equipment to the Chinese screen maker between May and August, violating a non-disclosure agreement with Samsung. They were caught while loading additional pieces onto a ship headed for the mainland. Another report says that Samsung’s display technology is considered a “national core technology” under South Korean law, making the offense graver. What’s more, one of the accused was said to be using a fake company headed by his sister-in-law to cover up the espionage. Reportedly, Samsung spent about 150 billion won over a period of six years to develop the OLED technology. Meanwhile, Toptec has issued a statement denying the charges. “Our company has never provided Samsung Display’s industrial technology or business secrets to a Chinese client. Our company will fully cooperate with legal proceedings to find the truth in court,” the company was quoted as saying. This is not the first time that such an incident has occured in the technology world. Earlier this year, Anthony Levandowski, a former Google employee and the engineer behind the company's self-driving car programme was fired from Uber after he was accussed of stealing autonomous car technology from Waymo (a subsidiary of Google's parent Alphabet) before joining Uber. Levandowski reportedly downloaded around 14,000 files from his company-issued computer containing trade secrets related to Waymo's LIDAR technology, circuit board designs, and testing documentation. What is the meaning of IPS in display?